What is the most important service for my vehicle? The most important service for every vehicle is to change the oil every 3000 miles. How often does my vehicle need a tune-up? Annual Maintenance is recommended. Check your owners manual for filter and spark plug maintenance. When my brakes are squeaking what should I do? What should I do when my air conditioner doesn't blow cold anymore? You need Air Conditioner inspection. System probably needs freon. Check Engine light in my car has turned on what should I do? 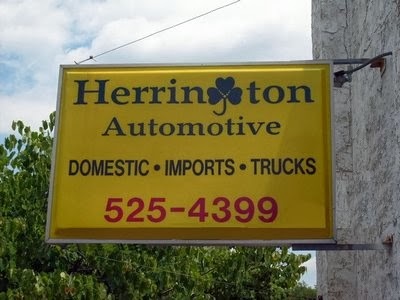 Herrington Auto can provide you with a computerized diagnostic check to determine the problem. My vehicle is leaking fluid what should I do? Top off all fluids and bring your vehicle in for an inspection. When should Anti - Freeze be replaced? It is recommended that Anti-Freeze be replaced every 2 years. Though the Anti Freeze may look good, corrosion inhibitors do wear out.